Sébastien made the decision to become a winemaker shortly after his 12th birthday. At age 13, he was sent to The Lycée Viticole et Oenologue de Beaune in Burgundy to begin his journey. Upon producing his first wines in 1989, he knew that he had made the right decision. He spent 1989-1992 creating wines from prestigious villages in Burgundy before heading to Languedoc-Roussillon in Southern France to manage vineyards and continue producing wine until 1996. This experience elevated his knowledge and allowed him to combine his Burgundy techniques to the Bordeaux and Cotes du Rhones varietals. His adventurous spirit led him to launch the first Caribbean vineyard, in tropical weather conditions in 1996. 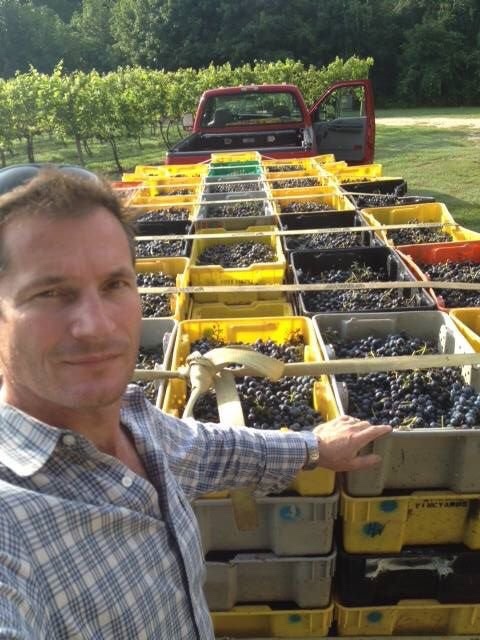 In 2003, Sébastien landed in California thanks to his connection to Dr. D’Arcy Dornan where he was employed by wineries in Sonoma and Napa Valley. Virginia is now where this award winning winemaker calls home. As the Winemaker at Doukénie Winery Sébastien strives to produce high quality consistency, vintage after vintage.